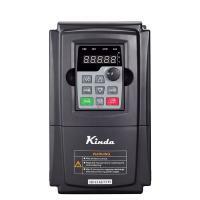 KD330 series Variable frequency drive is a universal high-performance drive vector control function frequency converter. Based on the advanced technology control theory and intelligent control means, the inverter-controlled speed control system achieves extremely high responsiveness and stability. Better meet the different needs of various industrial control occasions. 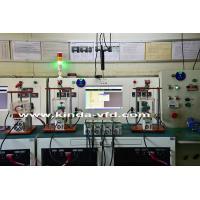 Frequency setting mode Digital setting, analog setting, pulse frequency setting, serial communication setting, multi-step speed setting & simple PLC, PID setting, etc. These frequency settings can be combinated & switched in various modes. Overload capacity 150% / 120s, 160% / 60s, 180% / 10s, 200% / 1s. Simple PLC & multi-step speed operation It can realize a maximum of 16 multi-step speeds running via the built-in PLC or control terminal. Fault protection function Comprehensive protections include over-current, over-voltage, under-voltage, overheating, default phase, overload, shortcut, etc., can record the detailed running data while failures happen. Environment Ambient temperature -10~50°C, without direct sunshine. 1 Reliable hardware Only first-class componens are built-in. 3 PCB aging test 100% test, 50°C, 12 hours. 4 Finished products aging test 100% test, 50°C, 24 hours. 6 Grouped pulse testing Without failure under 4500V (better EMC performance). 7 Electrostatic testing 1. Noncontact conditions -- without failure under 10000V. 2. Under contact condition -- without failure under 5000V. 9 Smart start / stop mode Acceleration / Deceleration time can be set as 0.0s, the inverter starts and stops the motor as fast as possible without failure. 11 LED display >7,5kW, two lines parameters dispaly, convenient for commissioning and operating.